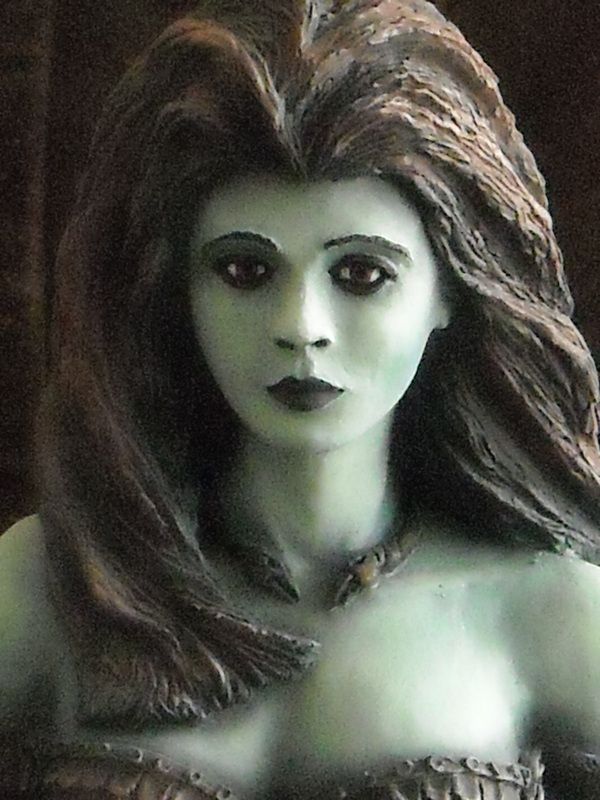 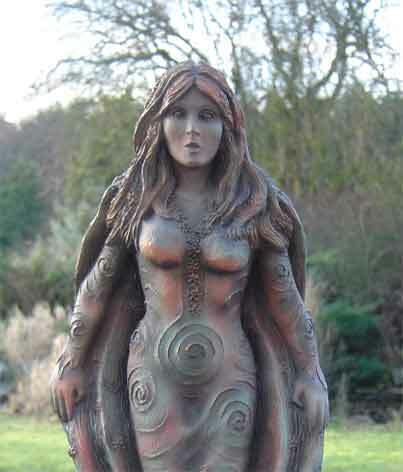 From Irish myth The Morrigan was a wonderful figurine to sculpt, She stands approximately 14" tall. 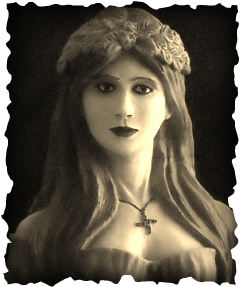 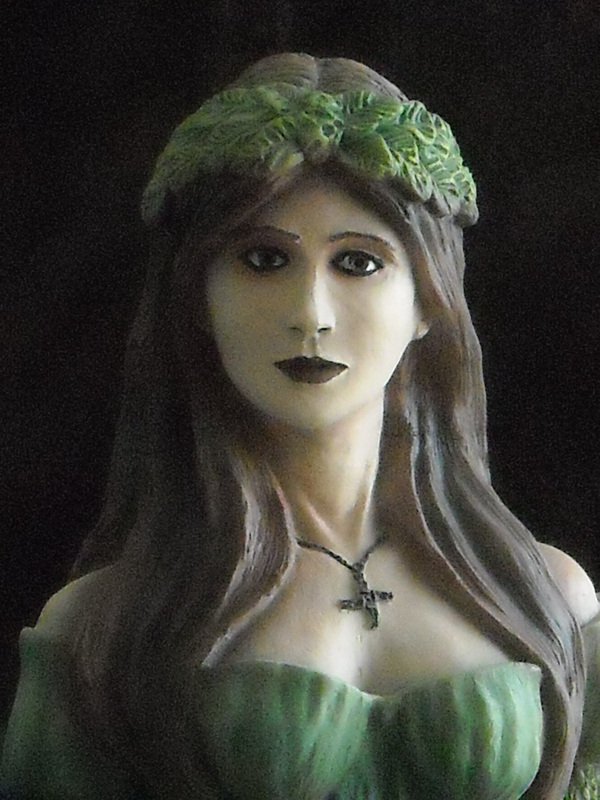 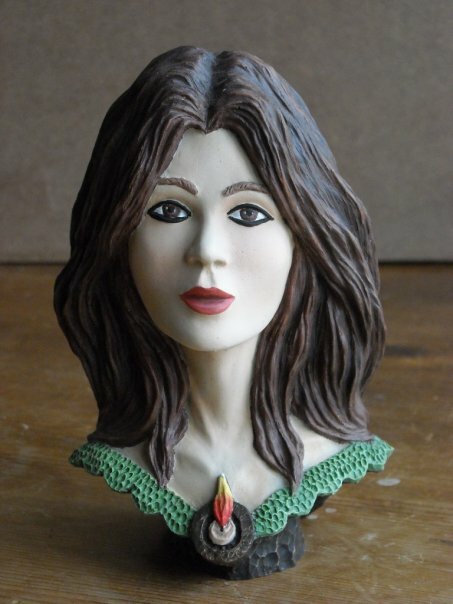 From Irish myth Brigid was a wonderful figurine to sculpt, She stands approximately 14" tall. 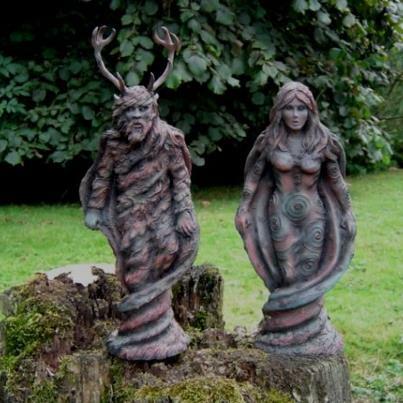 The Horned God and Earth Goddess. 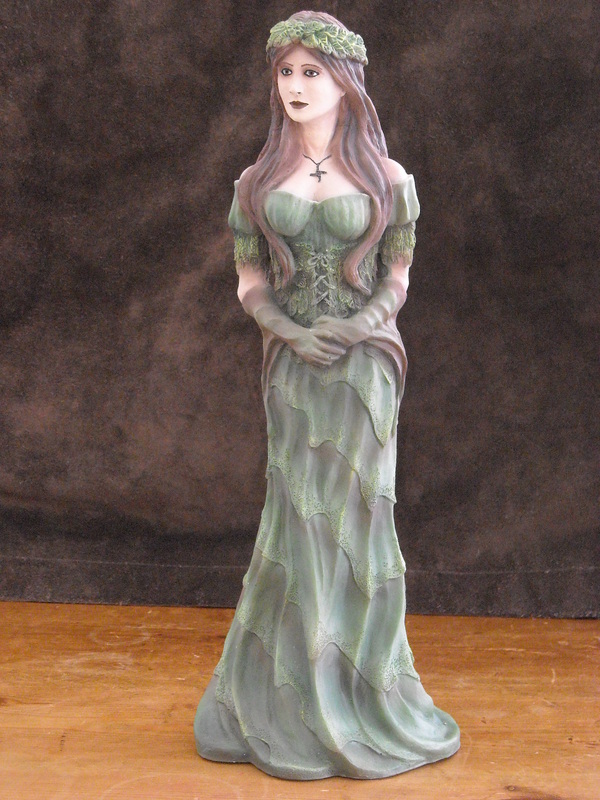 Finished in natural greens, browns and bronze highlights. 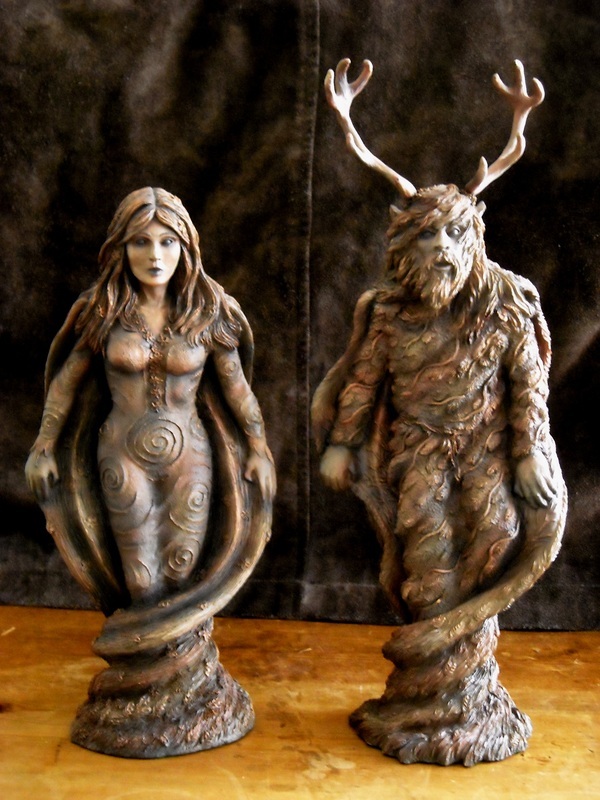 I still enjoy making these figurines.They both stand approximately 12 to 14" tall. 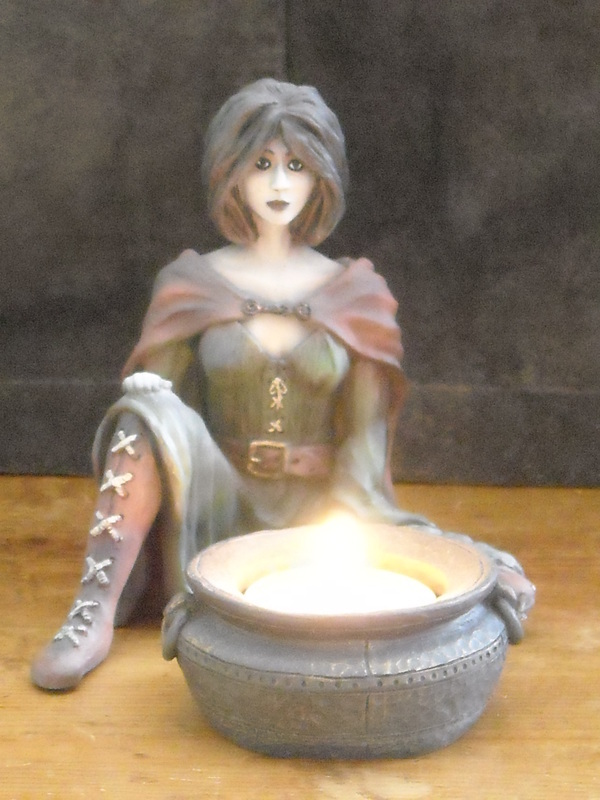 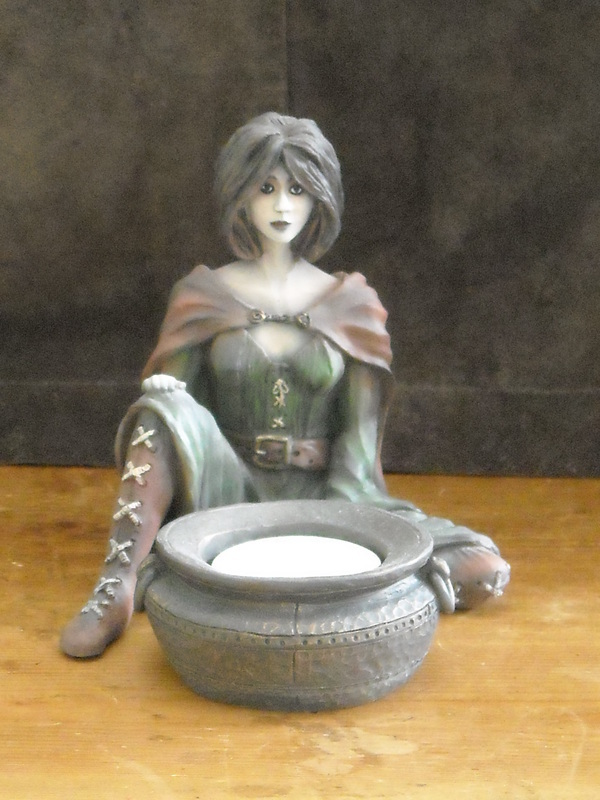 Cerridwen and her Cauldron is a nice little figurine, to give you an idea of scale the cauldron holds a tea light. 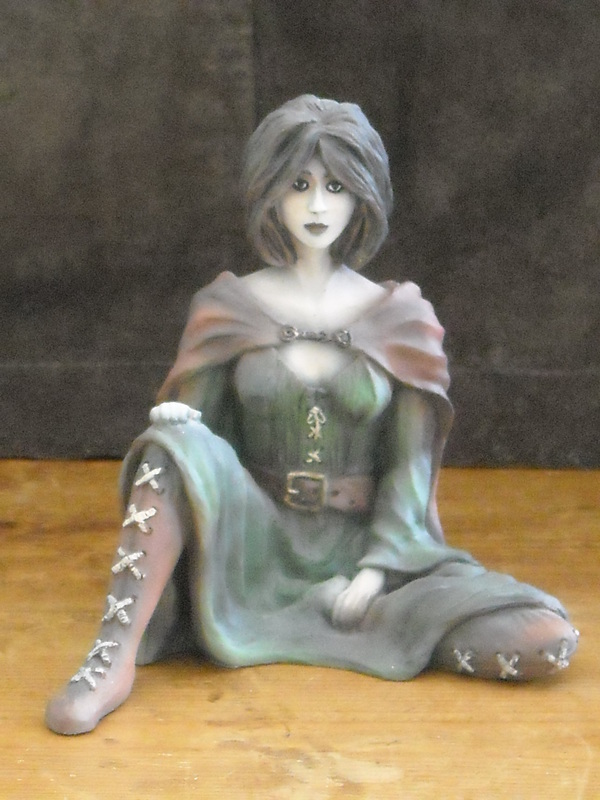 I really enjoyed sculpting this figurine as the sitting pose was quite a challenge. 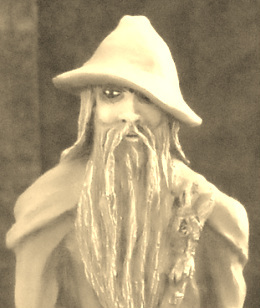 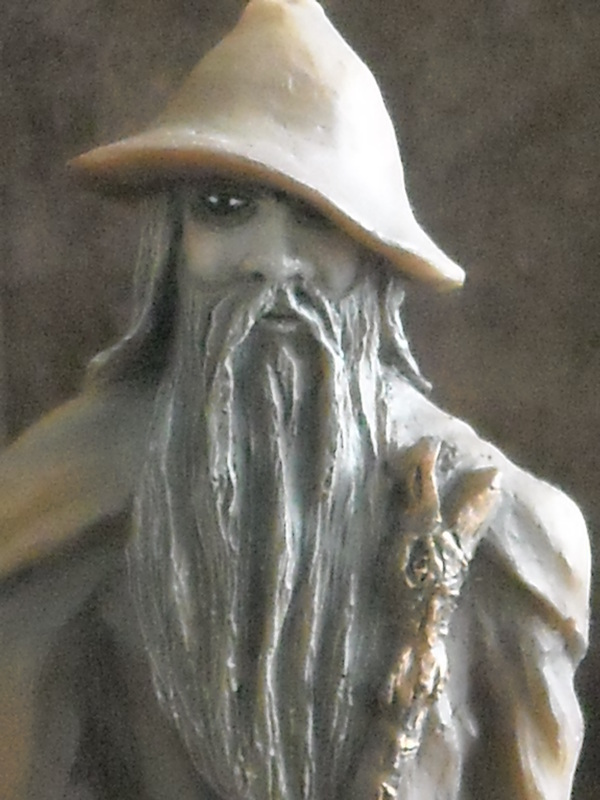 Odin with his rune clad staff. 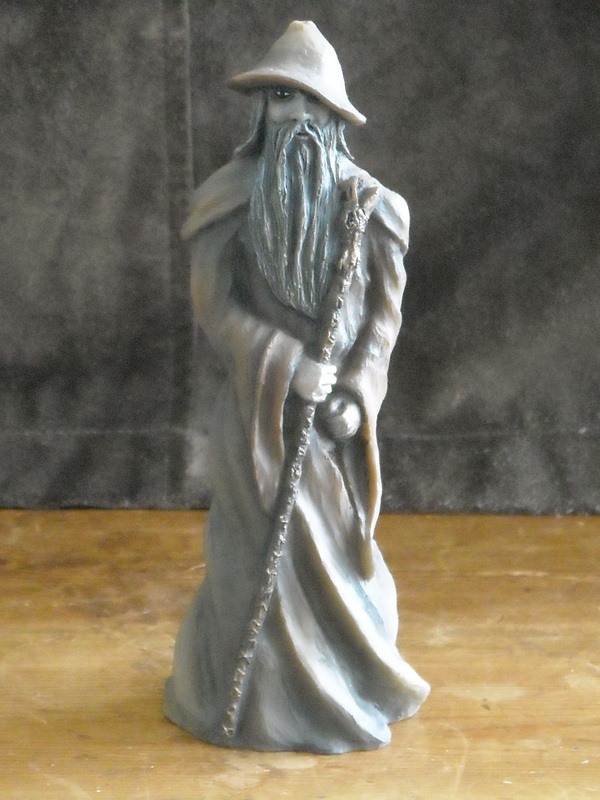 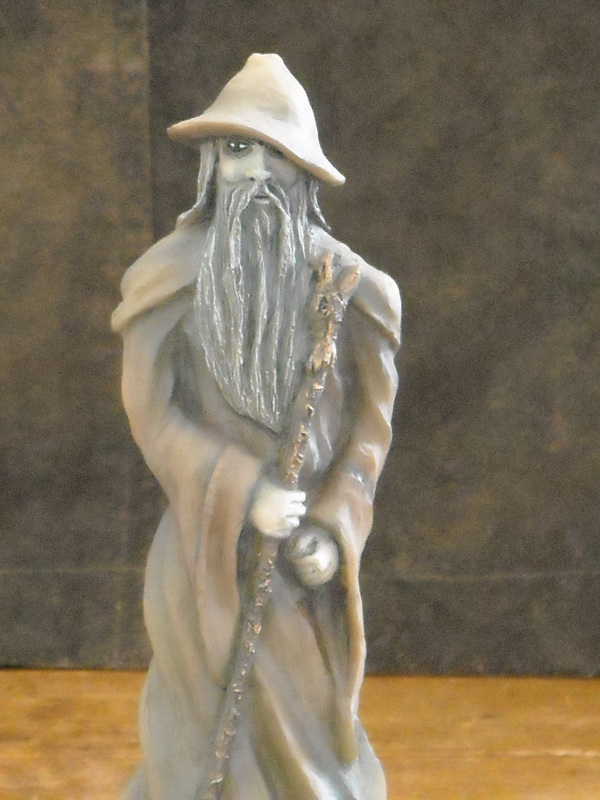 I made Odin and Cerridwen slightly smaller than my previous sculpts (Odin is approximately seven inches tall) after many requests to make a range of Gods and Goddesses at a smaller scale. 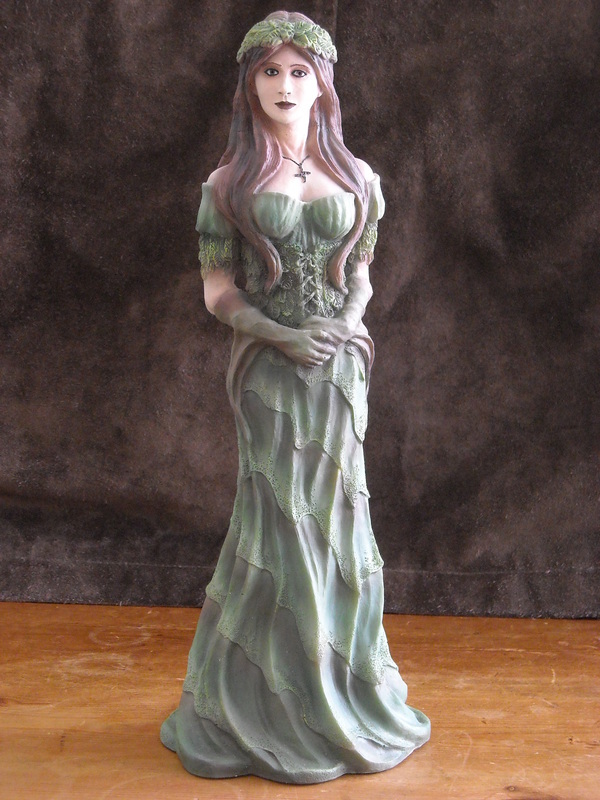 More figurines in this range to come soon. 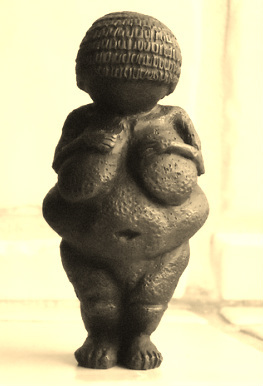 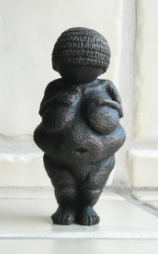 Here is my version of the Venus of Willendorf based on the figurine estimated to been made 28000 to 25000 BCE. 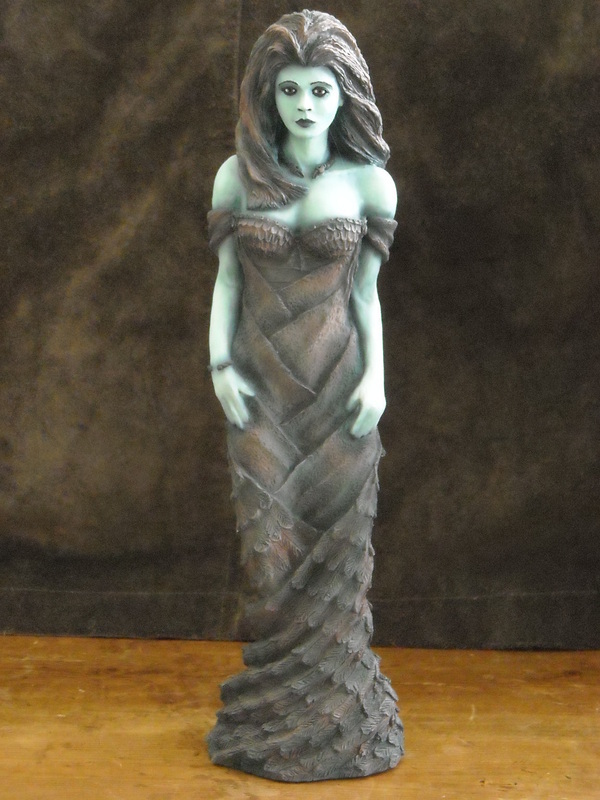 I've had a lot of requests for this figurine and when I finally sculpted her I added some feet so that she would stand. 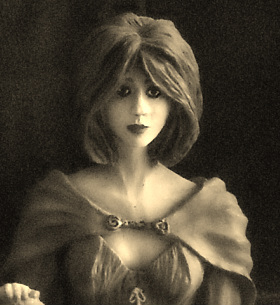 The original figurine has no feet, either she was broken at the ankles or never had any in the first place. 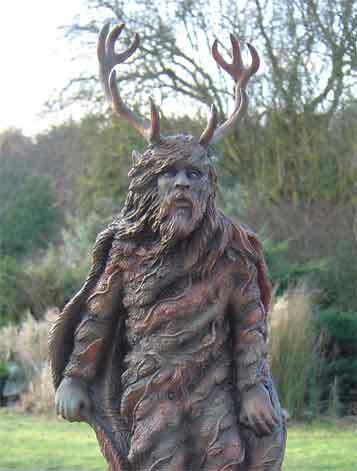 If you're after one without as per the original I'm happy to accommodate this alteration. 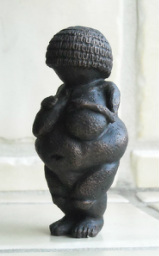 She stands approximately 3 inches tall and is finished in a bronze finish. 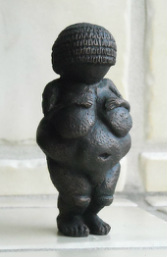 Email for further details.